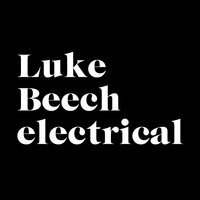 Luke Beech electrical is a friendly company based in Greenwich working across London. A STROMA approved contractor. We pride ourselves on a job well done. Please see my website for prices and more. Luke did a full electrical check on the house - he was fastidious, fast and nice to have around. He also did my boyfriend's house and we both felt he was, and turned out to be, someone to be trusted. Would happily use him again. I had a light bought from a high street store but when they came round to install it there was an issue with the earth and they couldn't do it. Luke came round, but it in, fixed out the earth and checked the wiring in the whole house. There were a few quite tricky problems (victorian house so a bit of a mess) but he sorted it all, very reasonable and seemed like a decent bloke. I'd definitely recommend him. Luke Beech the Highest Best Ideal Electrician - Second to None. Luke was very punctual. He diagnosed the problems quickly and gave us the estimate to replace four-night storage heaters within a couple of days. He ordered the parts needed and completed the job efficiently; left everything neat and tidy! Luke was friendly, professional and very helpful in finding someone to dispose of the old night storage heaters for us straight away. We highly recommend him and will definitely keep him in mind for any future work. Rating: five stars! Luke was great, I highly recommend him. He came with no fuss the same day we called him and sorted the problem almost instantly. We'd had a disastrous visit from John Lewis the day before, which had left all the sockets in our kitchen broken. This had meant no appliances worked (and it was a couple of days before I was due to have a baby). Luke fixed everything, and left a new socket ready to take the new washing machine (that John Lewis had been supposed to install). He was good value and really unobtrusive, but absolutely saved our bacon! Luke was prompt and responsive to my initial enquiries, including giving suggestions for products and an estimated timescale for the work broken down by each element of the job. Work was done to a high standard with minimal disruption and Luke cleared up as he worked and left the place tidy each day. The work I had done was replacing all socket covers and switches in a 3 bedroomed house, installation of an additional socket, replacement of all pendant fittings and light shades, and installation of external sensor lighting and lighting in the garage. Work was completed in the agreed timescale and the charging was transparent from the outset. Happy to recommend. Very good, would recommend to others. Luke came promptly and sorted the problem for us. Reasonable cost as well. I recently used Luke to replace all the ceiling lights in my flat. I am very impressed with his service. We started communicating the project via emails during planning phase. Luke always came across as very professional, polite and thorough. He turned up to the site on time and completed the fittings within the timeframe he had advised. He has done a very nice and neat job. Dealing with Luke is easy and pleasant. I will definitely use him again when encountering any electrical problems and happily recommend him to my friends. Luke came around to do some rewiring, and put them into the walls, he did a great job and recommended some simple solutions that saved time and money. I'd really recommend Luke. Luke attended our property twice in the last two weeks - for two jobs. He is friendly, clean working and good results. Very happy with his service and I will use him again if I need something done. Would highly recommend Luke. He visited and gave a quote after looking at our old electric radiators that needing replacing and then returned once we had bought new ones to install. He was punctual, gave detailed explanation of what he'd be doing, overcome some obstacles with good humour and did a really good job. The radiators work a treat and look good. He even insisted on hoovering up afterwards which my pregnant wife was very impressed by and grateful for! Will be using Luke's services again for future work and will recommend him to friends and family. Thanks!